Team Nitto - Gittin Jr and Whidett at 2016 Formula Drift Canada! Team Nitto – Gittin Jr and Whidett at 2016 Formula Drift Canada! Team Nitto – Gittin Jr and Whidett at 2016 Formula Drift Canada! Formula Drift Canada took place on July 15-16, at Autodrome St-Eustache. Autodrome St-Eustache played host to Formula DRIFT’s 2015 International Series and a Formula DRIFT International demo in 2014. Twelve years ago, Autodrome St-Eustache was the first venue in Canada to hold a drift event. 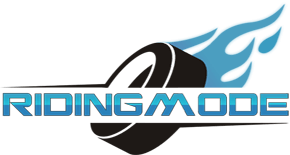 Since then it has been the home for professional and grassroots drifting. Utilizing the 0.4-mile oval and infield, fans can expect tight tandems and high-octane action. Team Nitto’s 2016 Formula Drift lineup are the legendary Formula Drift champion Vaughn Gittin Jr. and fan favorite “Mad Mike” Whiddett. 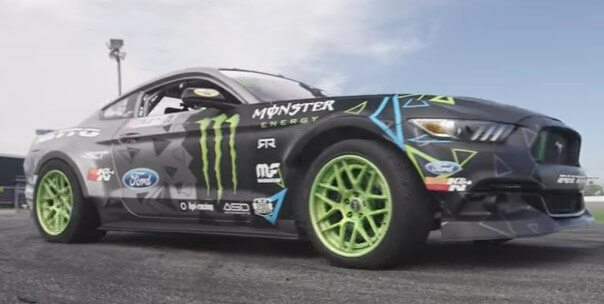 Vaughn Gittin Jr. is driving his 2016 Ford Mustang RTR. The Mustang is equipped with a 436 cubic-inch Ford Performance/Roush Yates-built V8 that produces over 900 horsepower at 9,000 RPM. Mike Whiddett continues his high-revving, rotary-powered Mazda MX-5 journey with the new 2016 Mazda MX-5 Miata. From the early days of his career in New Zealand to the international drift circuit, Mike has always waved the rotary flag high and proud. Now he’s nothing short of a household name to anyone with even a remote of interest in cars and drifting. We can all agree that his builds pretty much define what rotary machines are all about. Driving in drifting’s spiritual motherland has always been at the top of his to-do list. His respect for the Japanese drivers has always attracted him to the D1 Grand Prix, and in the past he’s entered as many of those events as he’s been able to. In the meantime, Vaughn Gittin Junior stays faithful to his all American Mustang RTR. On June 18th, 2016, he drove his Monster Energy Nitto Tire Ford Mustang RTR to first place at the fourth round of the Formula Drift Championship at Wall Stadium Speedway in Wall, NJ. On top of winning the event, Vaughn also regained the Championship lead and tied for most wins in the history of the series. Check out this video to see what makes Team Nitto so successful. Even though they are different, their mutual competitiveness and commitment to the sport has brought them where they are today! Have You Seen A $65,000 Motorcycle Fail? Here’s Your Chance! Spring powered boots will let you run as fast as a car! The Start Up and Revving of exotic and classic muscle cars!